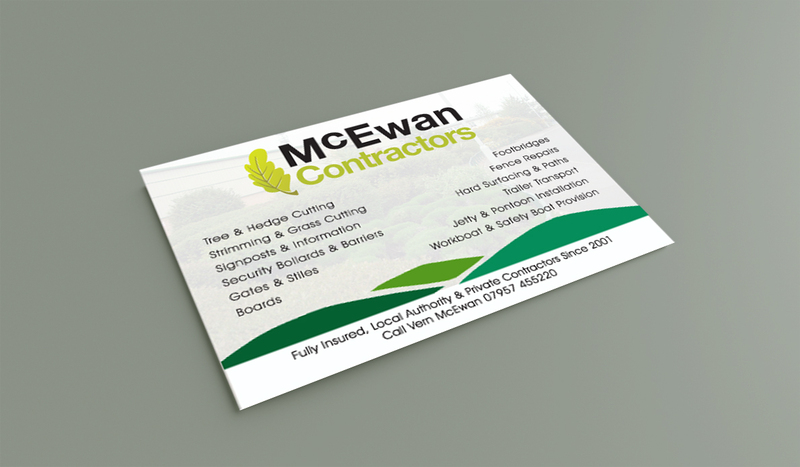 McEwan Contractors are an approved countryside maintenance contractor. The client wanted a logo designing with an Oak leaf and the colours of nature, a hand coded website with all the company’s services and contact information. Please click here to view website. Also an A6 flyer was designed to compliment the website, along with the company’s sign written vehicles.